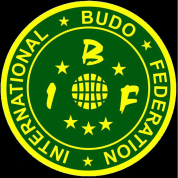 "Well our first official IBF Training Day was an excellent day. There were 41 martial artists representing seven different styles. The theme was self-defence, the thread that unites all martial arts. We started of with an impromptu 20 minutes from Hanshi McCarthy, demonstrating some Koryu Uchinadi/ Aiki Kenpo Jujutsu techniques and concepts. Unexpected and awesome, thank-you Sensei for supporting my efforts in this. Then followed yours truly with some basic self-defence concepts, a simple framework to hang all your other stuff on ... I can only hope I got the idea across ok.
Then we got stuck into some mano a mano self-defence. Sensei David Thompson with some batton defence, Sensei Josh Magar with a bigger batton (baseball bat defence), Master of Silat, Ivan McWilliams, with knife-fighting concepts, Sensei Glen Wallis with static knife-threat defences, Sensei Sue and Don Woods from Speakman5.0 Kempo with empty hand defences and concepts and finishing up with Jim Shang from Shang Martial Arts with Tony Blauer SPEAR concepts. At the end of 4.5 hours, we were all very tired but very happy with the day's training. Everyone was left with new techniques and ideas to incorporate into their training (or they weren’t paying attention!). However, as I am fond of saying, the biggest lesson today was not about differences, but about what we all have in common. In diversity there is strength. There followed pizza and soft drinks and some great conversation with our old and new martial arts friends. Who said this couldn't be done in Queensland? What a great day!